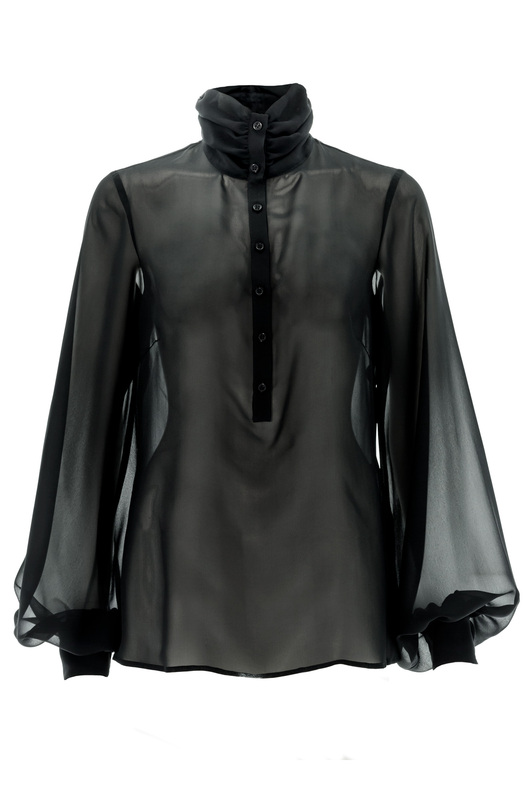 An elegant mat black chiffon blouse with a pleated turtle neck collar and delicate covered buttons down the center, this elegant piece is given a romantic flair with its wide sleeves, perfect to pair with a tuxedo suit for the evening, or with a pair of fitted jeans for more of a rocker look. Stefanie Renoma : a collection of ready to wear ​​entirely handmade in our workshop. Fabrics, cashmere, wool, silk, stretch jersey, cotton and viscose are selected with the utmost care from the best European manufacturers.